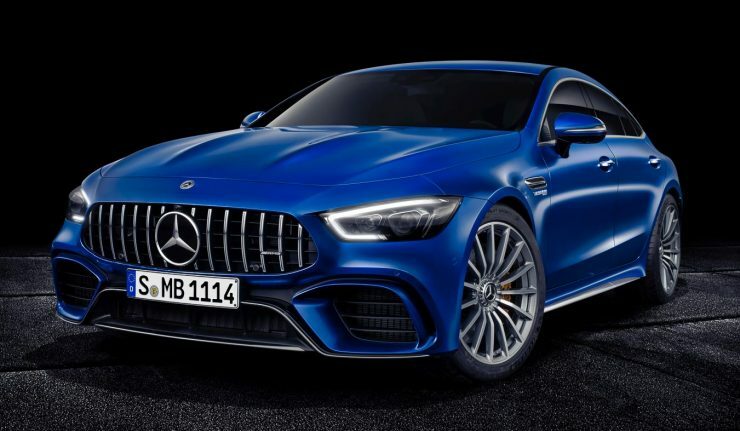 Mercedes-Benz has just unveiled the new Mercedes-AMG GT 4-door Coupe at the Geneva Motor Show and you can almost hear the Porsche Panamera Turbo clenching its fists. First and foremost, performance; and it’s simply blinding. The AMG GT 63 S 4MATIC+ delivers 639 hp and 900 Nm of torque from a 4.0-litre V8 biturbo engine to all four wheels – 0 to 100 km/h takes just 3.2 seconds, onwards to 315 km/h and yet it sits four with miles of leg room. The “S-less” AMG GT 63 4MATIC+ on the other hand is also a tower of power – with 585 hp and 800 Nm of torque from the same V8 engine. 0 to 100 km/h takes just 3.4 seconds with a top speed of 310 km/h. The Porsche Panamera Turbo only does 3.8 seconds without the Sport Chrono Package, with a top speed of 306 km/h. Both the V8 engines come with AMG Cylinder Management cylinder deactivation system which shuts of specific cylinders while coasting or during partial load, to reduce fuel consumption – not like it would bother the elite businessmen/women. Alongside the two V8 engines, there’s also the AMG GT53 4MATIC+ that houses an AMG inline six-cylinder engine. 435 hp is readily available with a combined 695 Nm of torque, supported by the EQ Boost system that also generates power for the vehicle’s electrical system. 0 to 100 km/h is done in 4.5 seconds, onwards to 285 km/h. Transmission wise, the V8s get the AMG SPEEDSHIFT MCT 9G 9-speed transmission with a wet clutch. In the six-cylinder AMG GT53 4MATIC+, the AMG SPEEDSHIFT TCT 9G transmission is applied. The AMG GT63 S gets 20-inch lightweight alloys while the AMG GT53 and the “S-less” GT63 sits on a 10-spoke, 19-inch set. Behind those wheels are six-pot callipers in the front and single-piston floating brake callipers at the back. The six-cylinder models are equipped with adjustable dampers and steel springs while the GT63 models gets the AMG Ride Control+ air suspension. The AMG GT 4-door Coupe comes with rear-wheel steering where up to speeds of 100 km/h, the rear wheels point in the opposite direction to the front wheels via two electric actuator motors. 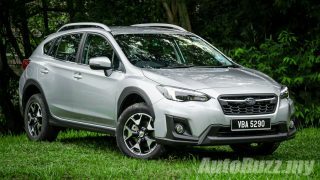 As a result, the car is more agile in the corners and benefits from better turning radius. Design cues have been largely inspired by the AMG GT as with the slim headlamps, the shark nose and the front apron with enhanced Jet Wing. At the back, you get slim LED tail lights along with a rear aerofoil extendable in several stages – an important element of the active aerodynamics. Inside, the illuminated turbine-look air vents take centre stage, together with two 12.3-inch high resolution displays where drivers can select from three different instrument displays. In the “Supersport” view, driver’s will be prompted to change gears in manual transmission mode. There are up to six drive modes to choose from – “Slippery”, “Comfort”, “Sport”, “Sport+”, “RACE” and “Individual” – all of which affects the way the AMG Speed Sensitive steering wheel behaves.For the first time an AMG car has its own room fragrance. It is an appealing, sporty scent to match the spirit of the performance brand. The new AMG GT 4-Door Coupe can also be fitted with the ENERGIZING comfort control, found in Mercedes-Benz’s mass-produced models for improved driver-fitness safety. The AMG GT 4-Door Coupe also comes with semi-automated driving features with the DRIVE PILOT which can support the driver with tasks such as driving in a traffic jam. With the standard AMG Track Pace, drivers can keep track with over 80 vehicle-specific data as well as lap and 0 to 100 km/h times.What’s also really cool inside the AMG GT 4-Door Coupe are the capacitive switches on the centre console. If the finger moves within a minimal distance from the panel, the appropriate symbol lights up directly in the head unit and preselects the menu item. The reverse camera, navigation, radio, media, telephone and vehicle settings can be operated via this proximity switch. A Drift Mode is standard in the S-version of the AMG GT which can be activated by selecting the “RACE” drive mode. When in drift mode, the car is strictly rear-wheel driven. Would you take this all-electric Porsche Mission E Cross Turismo off-road?